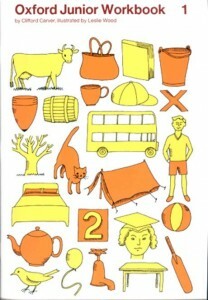 The Oxford Junior Workbook series is a great homework resource for elementary school age children. There are ten workbooks in the series, from the introductory A and B, to the 1-8 of the main series. We have been using these for many years now, and find them extremely useful as supplementary homework for children (post-phonics, pre-intermediate). Price. The books are 735 yen before discounts, so one of the most economical workbooks around. Intuitive. Most of the exercises are fairly intuitive and require little explanation. Perfect for homework. Well designed. The books build up language and concepts slowly in a very learner-friendly way. Range of activities. There are a range of activities, from colouring to matching, writing, and drawing. Dated. The books are showing their age in terms of design. Dated. Some of the language and content is archaic (ink blot?). Dated. Slightly sexist and non-PC at times. Overall the Oxford Junior Workbook series is a great way to provide extra work outside of class that student enjoy and find useful. They can be used in lockstep by assigning specific pages as homework, or individually by allowing students to work at their own pace. The books are cheap enough that buying one or two each year shouldn’t break the bank. In what way are they sexist/non-PC? I’m guessing pics of stereotypical gender roles. No female doctors etc. Or is it worse than that? They are from the sixties, so things like ‘Indians’ for Native Americans. The pictures are very dated.